Denver and Beyond made the list! REAL Trends America's Best Real Estate Professionals Rankings ranks top sales associates and teams in each state and metropolitan statistical area (MSA) by transaction sides and sales volume. Only the best of the best are included on the respected list. 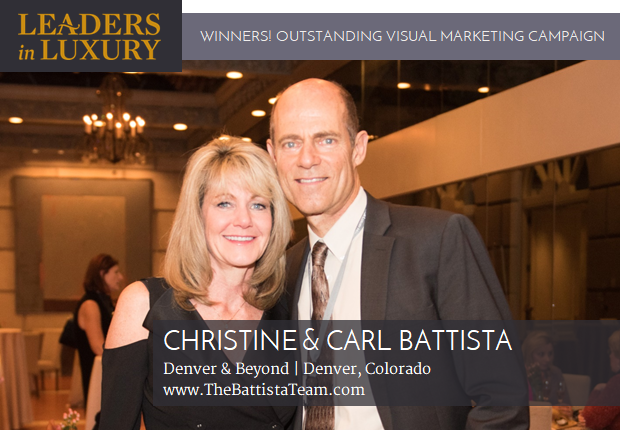 Christine and Carl received the #1 marketing award in North America - Leaders in Luxury award. Their explosive world-class marketing strategies were internationally recognized as the most innovative and effective. Christine and Carl craft a visual marketing campaign as innovative as the properties and clients they represent. The Battista Team from Denver and Beyond received the SMDRA Diamond Circle Four Carat Award. ​Our entire focus is serving you and meeting your needs. You are the core of everything we do and the foundation of our success in selling every home we have ever listed. We take a different approach to real estate, one that is built on personal touches, win-win deals and positive results. We create world-class, explosive marketing plans, followed by unmatched negotiations to achieve the best terms and highest price possible for you. 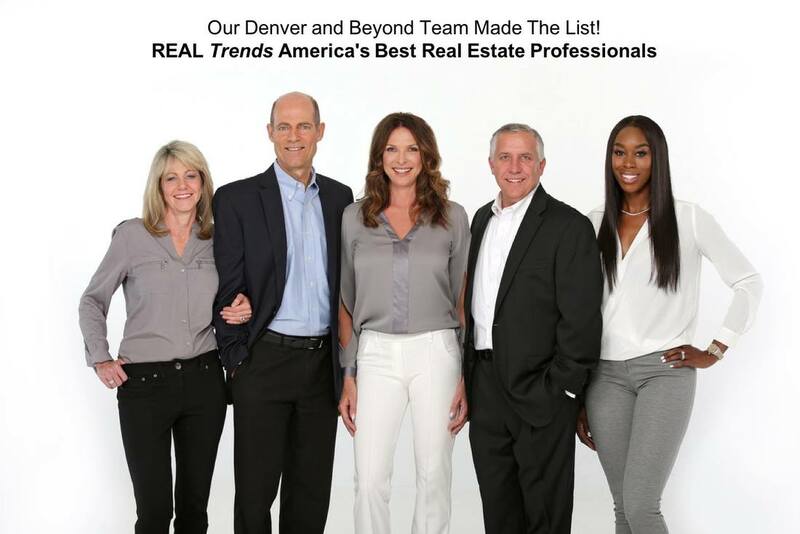 The Battista Team of Denver and Beyond has set the record for the highest sales price in numerous Greater Denver communities. We exceed the competition and achieve the most for you. When given the opportunity to assist you in the purchase of your new home and / or the possible sale of your current home, we do not take your faith and trust in us for granted. Our focus is serving you while having your best interests at heart. In order to be successful, we must respect and meet your individual needs and concerns, while ensuring we market your home, as if it were ours. You will receive caring and focused world-class services and expertise, in order to net you the most amount of money - while handling the complicated intricacies of Colorado real estate, behind the scenes. In doing so we will share very specific marketing strategies, together with our seasoned expertise, to successfully market your home locally and around the world. We are especially passionate about tough negotiating, explosive marketing, serving, protecting you, innovation and integrity. It is all about you. In leaving no stone unturned, we strive to give others our all, just as we would our own family. This website is full of information for you whether you are looking to sell, invest, buy or relocate. Please feel free to contact us at (303) 500-2414 so we can learn how to best meet your needs.